Pyrrhuloxia (Cardinalis sinuatus). This was one of the two birds I was hoping to see in Arizona. In general, we do not see small colorful birds like this in Southern California (except for escaped exotics like parrots). At first I thought Pyrrhuloxia was the latin (scientific) name for this bird, but then I learned the latin name is Cardinalis sinuatus. 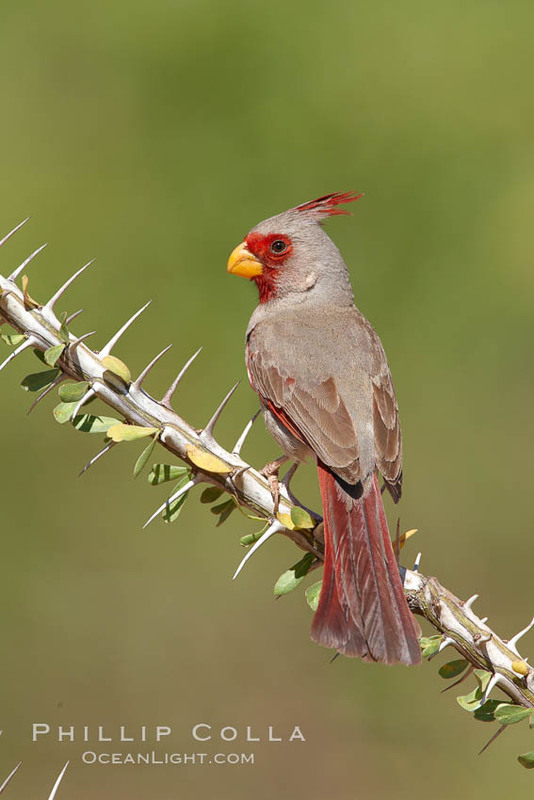 So I guess the Pyrrhuloxia is closely related to the Cardinal (see tomorrow’s post). Regardless, it’s a pretty little bird.